The Freestyle looks like, and functionally is "half" a Skeletool, designed to combat the awkwardness of the fixed carabiner at the end of the Skeletool. The Freestyle is an ultra convenient minimalist tool for when carrying a pocket knife just isn't enough. Freestyle handles are very complex and made up of several components. Like it's sibling, the Skeletool, there is no date coding on the Freestyle. The only folding device on the Freestyle is its partially serrated locking knife blade. The blade measures 2-1/2" long. (63mm) It is made from 420HC stainless. The Freestyle CX is very similar to the Freestyle, but features a 154CM plain Edged blade, and a carbon fiber insert. Current incarnation announced at the 2009 Shot Show. 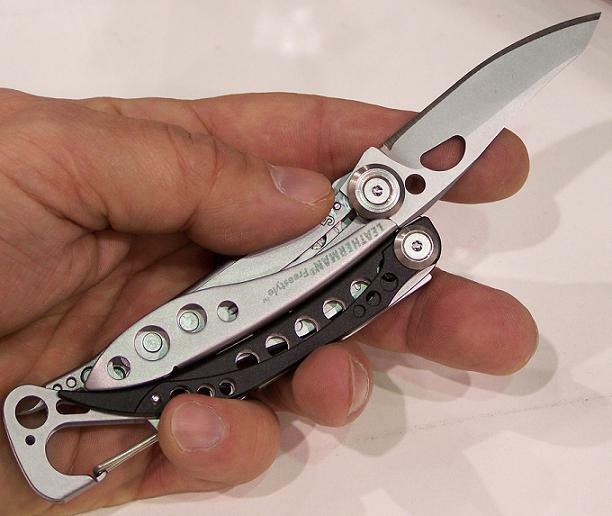 The original design was initially showed at SHOT 2007, and was somewhat closer to the Skeletool design, complete with carabiner. The main difference between the prototype Freestyle and Skeletool series was the lack of interchangeable bit driver, and with a fixed "multidriver" in it's place. This multidriver was designed in such a way as to work in both phillips and flathead (slotted) type screws. The Freestyle also did not have the cutout for the spare double ended bit in the handle. 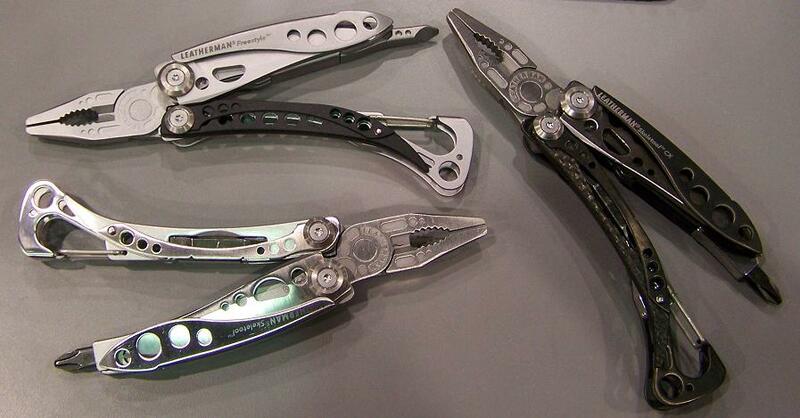 The Freestyle is very similar to the Skeletool and the Skeletool CX. 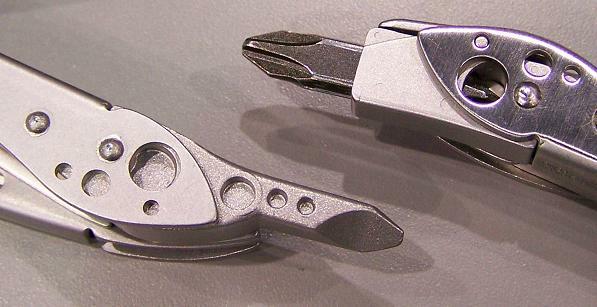 There are also two keychain Leatherman tools that are based on the Skeletool chasis the Style PS and the Style CS. Created by Defender. Last Modification: Saturday 16 of April, 2016 00:53:47 CEST by sLaughterMed.